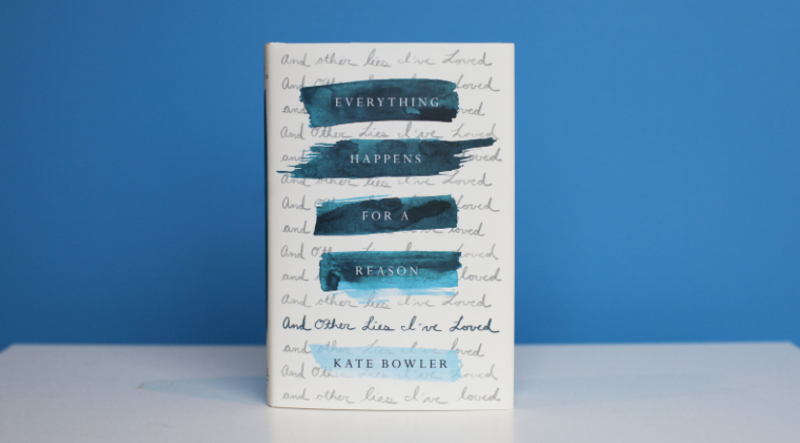 Kate Bowler’s new memoir, Everything Happens for a Reason And Other Lies I’ve Loved, is a funny, intimate portrait of living in that nether space between life and death. In it, she shares her experiences with incurable stage 4 cancer and gives advice on what not to say to those who are terminally ill. Suddenly at [age] 35, I get this stage 4 cancer diagnosis, and it’s just like a bomb went off and everything around me is debris. And I’m thinking, “Oh my gosh, did I actually maybe expect that everything was going to work out for me?” And so I wrote the book more like a theological excavation project, like I was just trying to get down to the studs of what I really expected from my life. And I think I was a lot more sure than I realized … maybe that I was the architect of my own life, that I could overcome anything with a little pluck and determination. I kind of pictured my life like it was this life enhancement project, and like my life is like a bucket and I’m supposed to put all the things in the bucket. And the whole purpose is to figure out how to have as many good things coexisting at the same time. To read more from Rachel Martin, click here.